Principle #6 of the World Fair Trade Organization's (WFTO) ten fair trade principles calls for a "commitment to nondiscrimination, gender equity and women's economic empowerment, and freedom of association." That's quite a lot to take in, but it's very important to the work we do here at Serrv International. As a founding member of the WFTO, we have an obligation to follow Principle #6—and all principles—in our day-to-day work and monitoring. But we want to share with you the real-life impact this principle has on women and their families. More than employing women with fair wages and safe working conditions, Principle #6 empowers women to shape their own lives and livelihoods with dignity and respect. 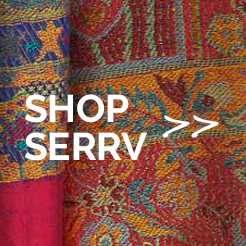 How our artisan groups achieve this varies by what women in their communities most need. Here are just a few examples. The mechanization and globalization of goods and services has led to greater inequality—and even exploitation—for many of the world's low-wage workers. Sasha Craft Producers was formed to 1978 as a reaction to the mechanization of traditional Indian craft. 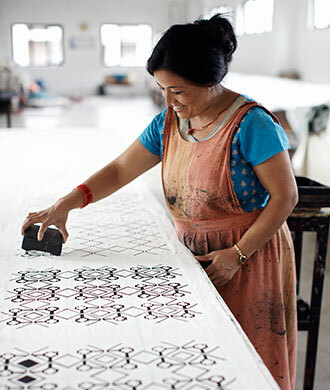 Seeking to protect artisans—particularly women—and their work from exploitation by middlemen, Sasha helps women artisans around the country find markets both local and international for their handcrafts. Today more than 1,000 women work with Sasha, creating professional and personal networks needed to grow their businesses and livelihoods. With approximately 18% of its population living below the poverty line, Cambodia is one of the poorest countries in Asia, with the majority of its impoverished citizens living in the countryside. Created in 1998, VillageWorks provides training and employment in traditional sewing, weaving, and embroidering to the rural women of Cambodia who might otherwise have no means of earning an income. In 2012, VillageWorks created a sewing workshop for women with physical handicaps, mostly as a result of polio. Through its commitment to helping rural and physically challenged women access employment, VillageWorks today employs around 60 women, helping them realize their potential and find pride and meaning through their work. Gender-based violence and inequality has long been a major problem in Uganda, with atrocities ranging from sexual violence and forced early marriage leading to lack of access to education and employment. The National Association of Women's Organizations in Uganda (NAWOU) has sought to advance the legal rights and status of women and girls in that country since its inception. 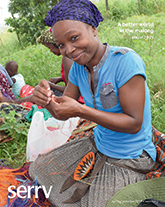 Led by women, the organization supports women from all over Uganda, including about 80 basket weavers. Earning their own incomes has made these women artisans less dependent on men for food, shelter, and education for their children. With training on gender equality, legal rights, and governance, NAWOU is helping women improve their social, political, and economic status nationwide. For many women in the world, the option to earn income is prevented by another job: being a mother. Dhaka Handicrafts in Bangladesh, which employs more than 1,300 women, provides women the opportunity to create traditional handcrafts while working from home, where they can also care for their children. Women artisans come from rural areas, and may be single mothers or widows without access to other employment. In addition to providing fair wages, Dhaka encourages women to take on leadership roles in the organization, and make decisions about the business. Too often, well-meaning organizations or charities create only short-term solutions for enduring problems like poverty. Located in Denver, Colorado, Women's Bean Project seeks to change the lives of chronically unemployed women by teaching self-sufficiency and the skills they need for long-term employment. Instead of a one-time handout, women receive the training and tools they need to sustain themselves and their families for a lifetime. At any one time, approximately 70 women are employed, weaving threads of their success throughout their families and communities.